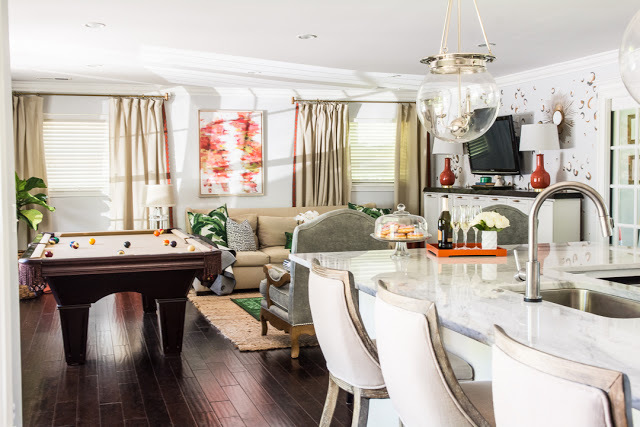 I am still gaga over the recent One Room Challenge hosted by Linda @ Calling it Home! Previously I reviewed some of my favorite master bedrooms, kid bedrooms, bathrooms, and outdoor spaces. Let’s take a look at my final roundup. Check out the before and after pictures of this amazing basement by The Heathered Nest. 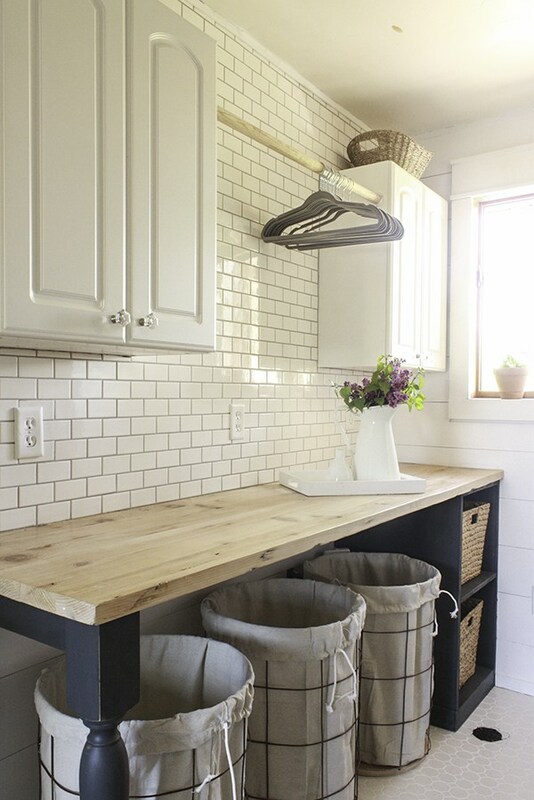 Sara from Twelve on Main created a fabulous laundry room complete with farm sink and steaming closet. How wonderful would it be to have a steam closet to launder clothes right at home?!?! I want to curl up with a good book and enjoy this beautiful sunporch at Worthwhile Domicile. 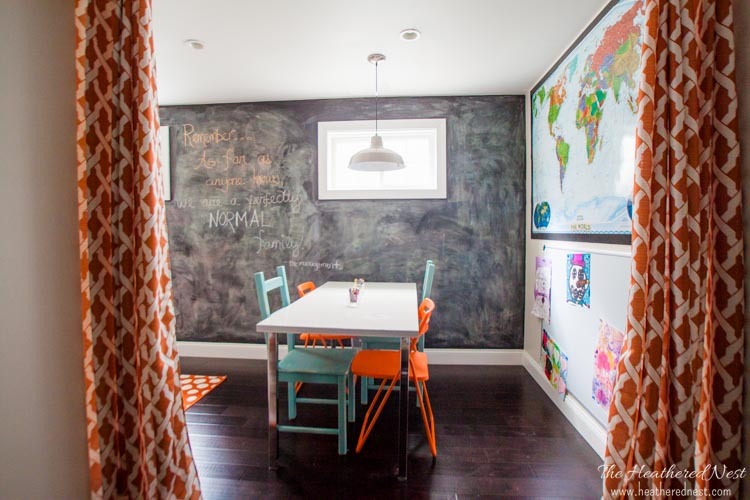 I need a designated homework space just like this one for my kiddos. Perfectly designed by Postbox Designs. This family space by Olive and Tate is well designed. Check out the before and afters to see the amazing transformation! 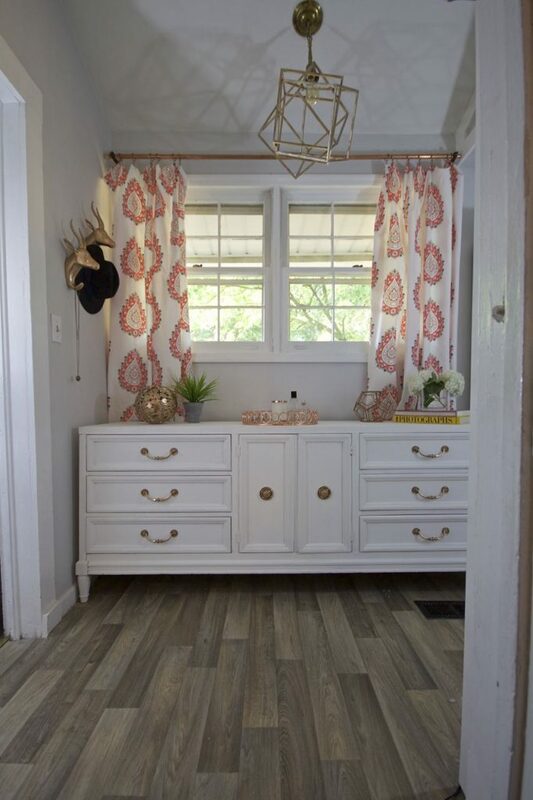 This charming master closet by 2 Bees in a Pod is full of fun details and darling curtains. Look at this beautiful dinning room by Little Red Brick House. 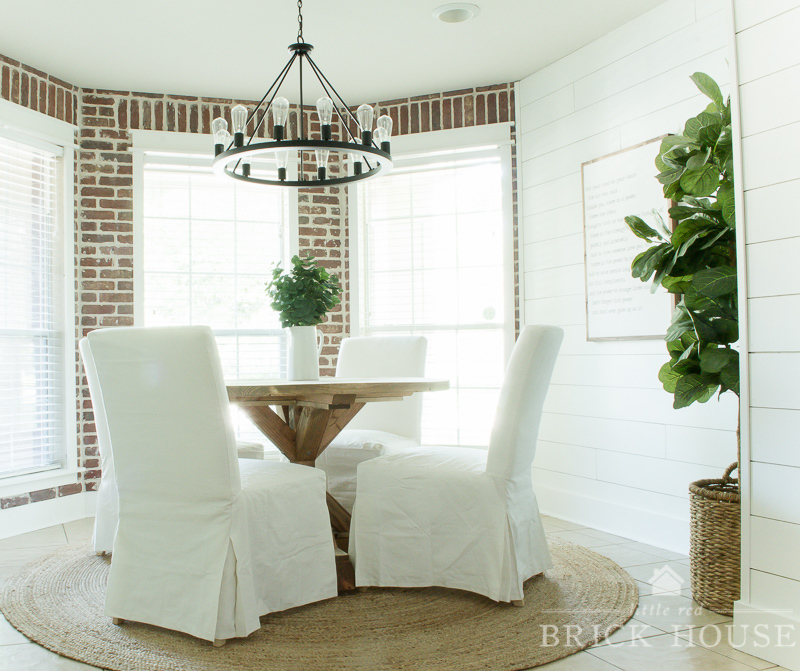 I love the brick accent wall and can’t believe they built that amazing table. 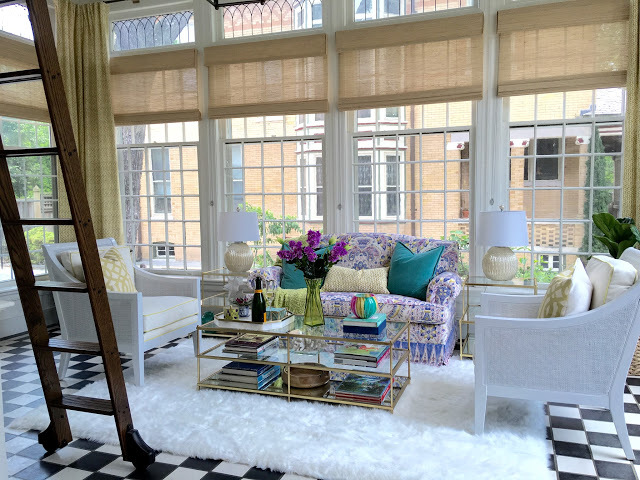 By leveling the floor, Marcus Design created a larger space. 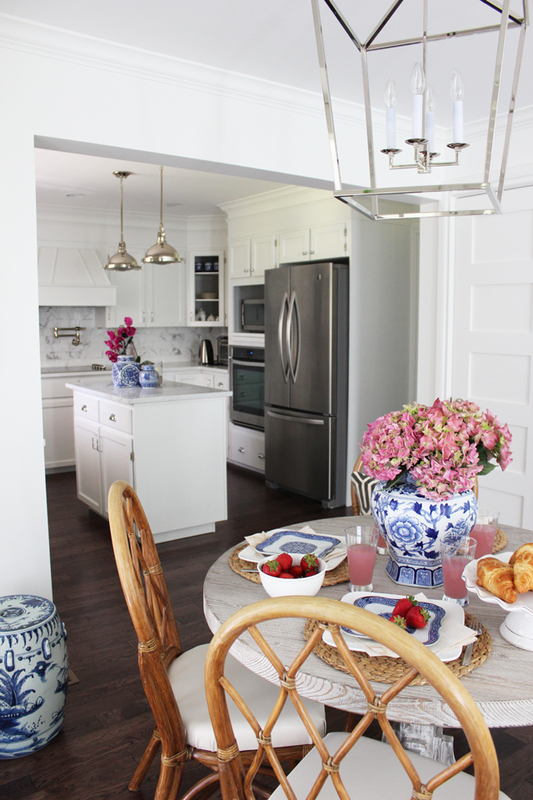 Her kitchen transformation is beautiful! My sweet friend Joy from The Aspiring Home created an office for her husband. 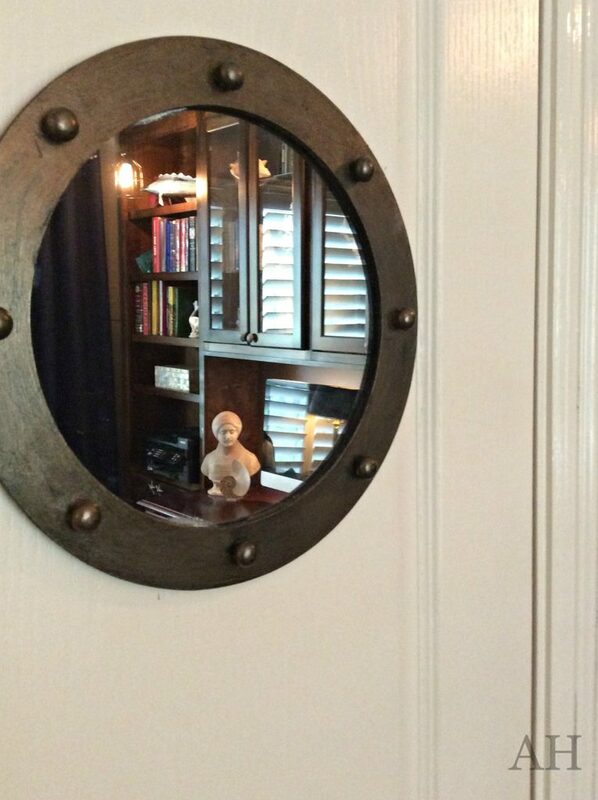 The fun space is inspired by his favorite book, “20,000 Leagues Under the Sea” by Jules Vern. I hope you enjoyed my One Room Challenge review. So many incredible spaces created by some truly talented individuals. I can’t wait to see what they come up with next. 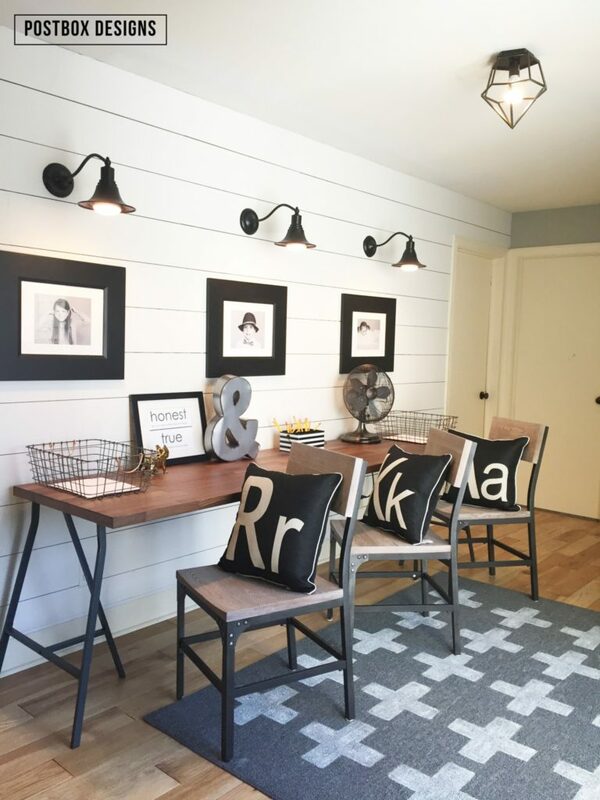 Stay tuned…next One Room Challenge is Fall 2016. Oh no! I missed many of these! Definitely need to go back and take a look at the homework spot & Joy's office remodel. There are so many amazing transformation! Each time I go back I find more spaces that I love!! !